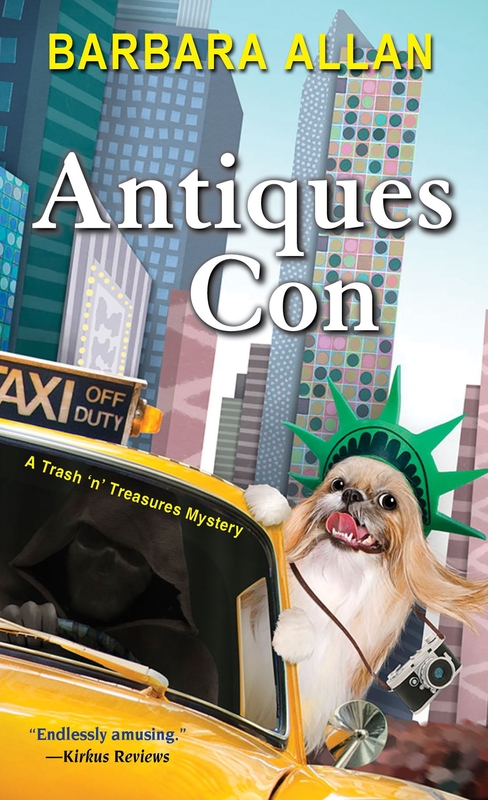 Brandy and Vivian--chaperoned by their trusty shih tzu, Sushi--are heading to the Big Apple to sell a rare 1940s Superman drawing, blissfully unaware that they will soon cross paths with a rotten-to-the-core killer. Vivian makes a show of keeping the valuable sketch locked to her wrist in a briefcase. When an intruder breaks into their hotel suite, they naturally suspect a felonious fan, overeager to acquire their artwork. Soon Brandy and Mother stumble onto a murder victim impaled by a pen-shaped award. Suspects ranging from comic-book collectors to crime kingpins lead Brandy and Mother on a madcap misadventure. Evidence is jumbled, clues become tangled, and Brandy and Vivian will leave no comic book page unturned in their race to stop a killer. Love Antiques Con? Subscribe to Read More to find out about similar books.